Join us for a fabulous night out at our 8th annual event to benefit library programs! 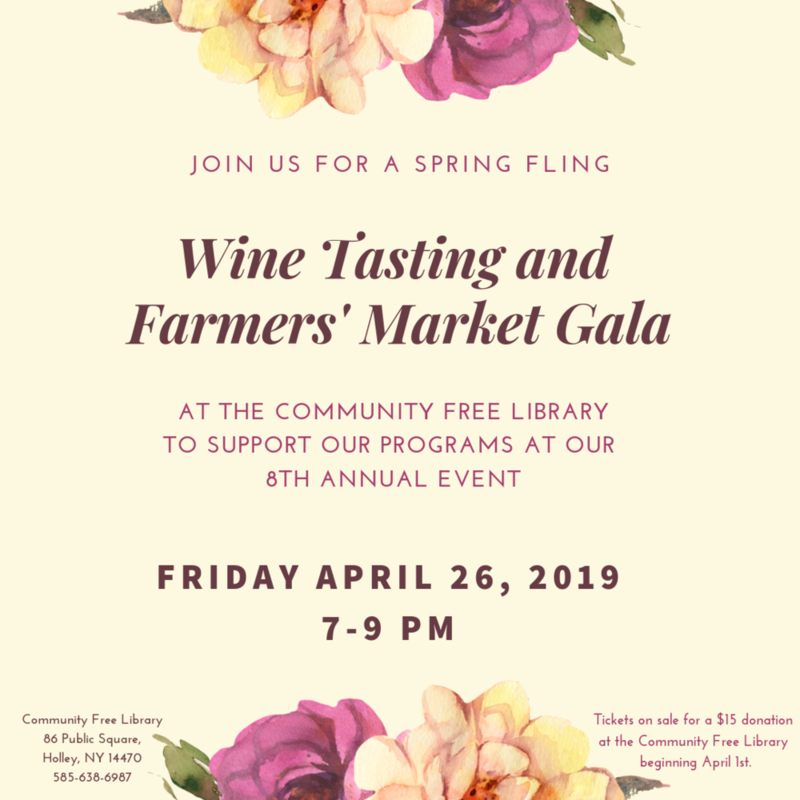 Participants at this event include: Autumn Moon Farm Winery, Mayer's Lake Ontario Winery, Leonard Oakes Estate Winery, the Winery at Marjim Manor, Hurd Orchards, Nice Farms, Willow Farms Garlic, and JC Tees. Tickets are available for $15 each starting Monday, April 1st at the library.